This young woman was the driver in a high speed MVA. She was restrained by a seatbelt, & she sustained mostly lower limb orthopaedic injuries. She was initially distressed by pain, but after analagesia was more settled & denied any midline spinal tenderness. 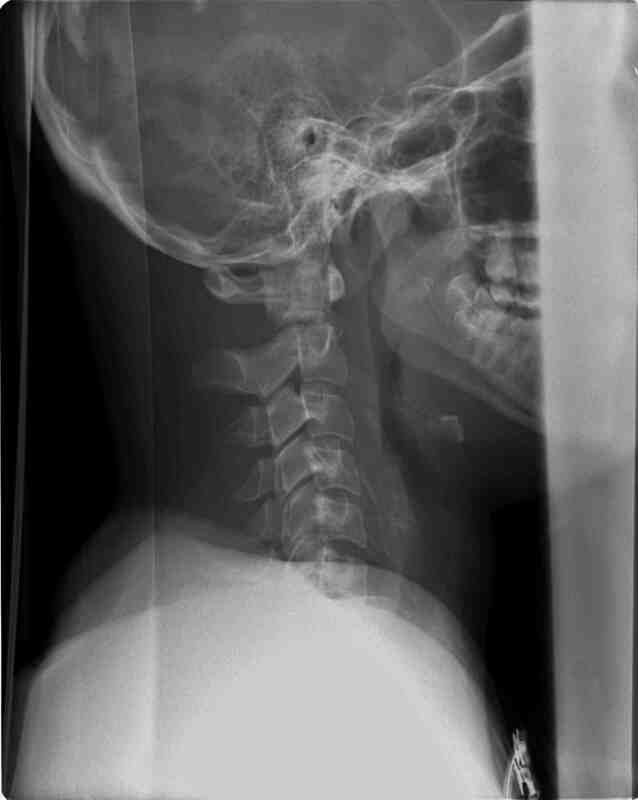 Would you be happy to clear her C-spine? 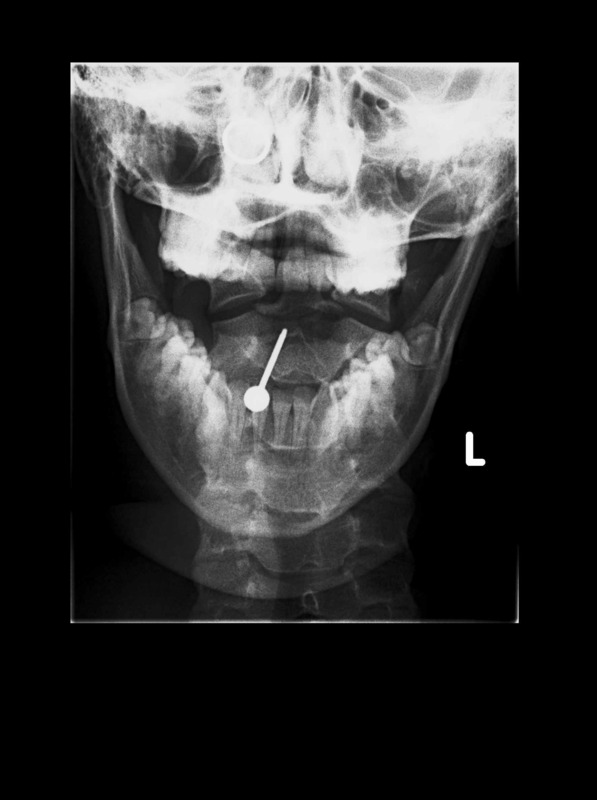 Open mouth PEG-view shows this more clearly. Always check each view thoroughly, & ensure they are of adequate quality to answer the question of C-spine clearance.